Scammers, cheats and thieves…alive and well with credit cards. Just prior to Christmas I dropped by my favorite horologist to buy a watch as a gift. After making my selection I asked the owner how business was going. If you ever want to get a sense of how times change, ask a watchmaker. He’s upset with credit card companies and for good reason. There was a time in retail when business transactions were straightforward. Select a product, exchange for currency, deal done. In 2015 however, every credit card transaction can be a risk to the merchant. In fact, many small businesses run on razor thin margins and are anxious to do business in a poor economy. It’s fertile hunting ground for scammers ready and to looking to prey on an entrepreneur. Our watchmaker was wound up over what is becoming a more and more common practice. A shopper/scammer buys an item with a credit card, shortly thereafter, the shopper/scammer calls the credit card company and claims dissatisfaction or claims the purchase was never made. The credit card company sides with shopper/scammer/cardholder (as is almost always the case) and the small business is left eating the cost. If you are under the impression it’s all covered by some magnanimous banking insurance umbrella, well not so much. It’s the small business that takes the hit. It makes one wonder why small businesses accept credit cards at all, but they do, and it leaves them exposed to a litany of frauds and scams. CFIB encourages business to promote Interact debit, but today’s reality is many consumers depend on credit. I was reminded of this when our Business Counselors caught wind of another credit card fraud scheme ticking away across Atlantic Canada. Small businesses called CFIB’s Business Counselors for help after thieves employed a common card-not-present scam. Individuals phone the retailer and offer to make a purchase on credit card. Once the transaction is complete, the thieves show up to collect the goods and only afterward does the merchant realize the card was stolen or invalid. Clean, simple and again, another small business is out of pocket. There are lots of sad stories and many variations on this theme. So, CFIB Business Counselors are recommending small business owners first report the scam, then take a step back and examine your vulnerabilities. Protect yourself by evaluating your procedures to authorize purchases. Refuse credit card payments over the phone by offering safer alternatives such as PayPal, Internet transfers or bank drafts. Always ask for photo id and be sure to photocopy the id when an item is picked up. If internet payments must be accepted, make sure to use secure tools recognized by reputable companies (Verified by Visa, Mastercard SecureCode). These kinds of thefts can hit you and hit hard. 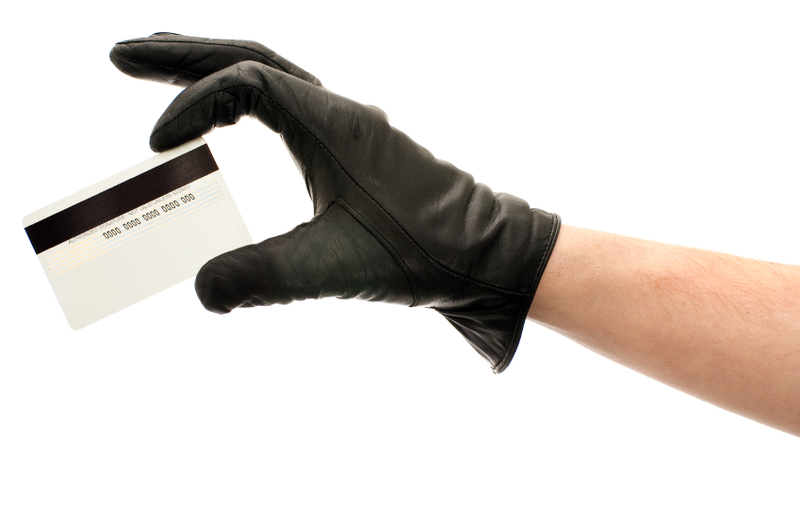 According to the Canadian Bankers Association, credit card fraud hit 436.6 million dollars in 2011. Card-not-present schemes are the fastest growing credit card fraud in Canada, but the only reason we know that is because small businesses report these crimes. Reporting is one of the ways you can fight back. Understanding trends and creating awareness is an important tool in the federal Competition Bureau’s fight against innovative new scams. The Competition Bureau is promoting Fraud Awareness in March. CFIB is supporting their efforts and asks that you to take some time to familiarize yourself with types of credit card fraud and scam techniques. And like our watchmaker, time is of the essence. Previous PostPrevious Want to help entrepreneurs? Make Nova Scotia a leader in regulation again, and make it the law. Next PostNext Premier McNeil, please don’t raise taxes on small business.